Surfing has become popular for many people. However, selecting the best foam surfboard is challenging. 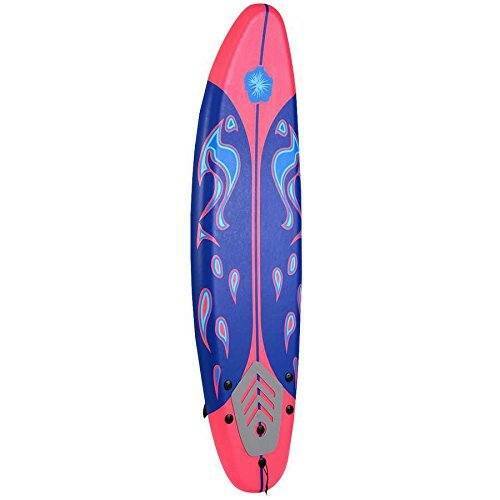 We are going to show the best foam surfboards that you can purchase online. We will inform you about what makes them a great buy, take you through various features and provide explanations on some of the major details of foam surfboards. Slick bottom helps in increasing speed. Gold Coast 8 Foot Verve. It Provides Great Buoyancy Using Its Design (Vacuum-Molded & Fiberglass Epoxy Construction). Has a Minim-Mal shape, thus not great for beginners. Has a slick bottom for extra speed as well as less friction, thus making it fun to use. Perfect for beginners as it enables them to easily maneuver in water. How to Choose the Best Surfboard? This guide seeks to provide you with a basic formula for selecting the better surfboards that could suit your personal needs. These steps can be beneficial for saving your money and time through the elimination of unnecessary mistakes. Getting the steps right is critical for you to have a better chance of buying the magic surfboard. Every person has an ideal volume that can be applied in an easy way when choosing a new surfboard. Some consider ideal volume to be the most crucial variable when selecting the size of a surfboard. Identify the wave conditions that you intend to surf and select a model that resonates with them. Every model’s design suits specific wave conditions. Every condition today has a board model, thus giving you the capacity to select the boards that suit your surfing needs and conditions. Identify the skill level of your surfing and ensure that a specific surfboard model is recommended or appropriate for your ability. Each model has a specific amount of stability and performance. The three steps are important, but determining the length that suits you is up to your personal preference. Your skill level will enable you to determine whether you need a foam surfboard for a beginner, intermediate or expert surfer. The fitness level is also crucial as each board has its recommended fitness level. Apart from fitness level, your weight and height will enable you to ascertain the volume you would require for a specific board style. These factors will play a role in your performance as you surf. Whereas you may already consider each of them at one time, ensure you revisit them when choosing your next surfboard. How to care for your board? Purchasing a surfboard is not the end of surfing as it still requires some level of maintenance to ensure that it retains its best performance. Despite the board type to have, ensuring that it is dry and protected is crucial. This implies getting a storage and carrying bag after purchasing the board. 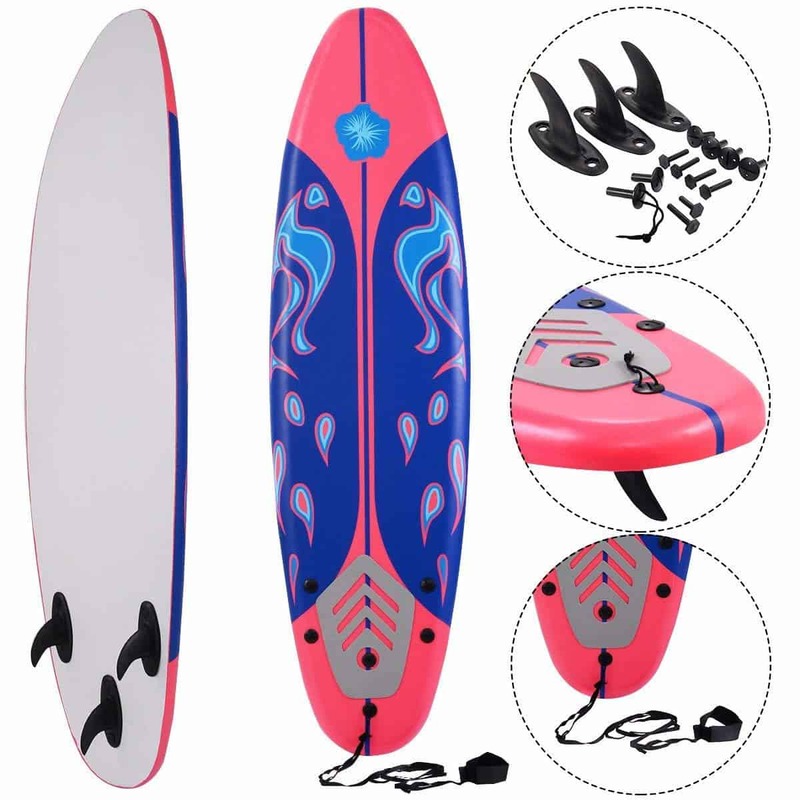 Foam surfboards do not require much attention because of their basic and soft constructions. This makes them easy to carry along with without necessarily getting worried about banging them as you walk. There are some tips that you can follow to ensure that your board is in the best shape. Using fresh water to wash your board after each session could help in preventing its materials from wearing out because of the corrosiveness of saltwater. Avoid direct sunlight as it can damage or fade the board’s color. Finally, good waxing also maintain many surfboards, hence helping your feet have better grip while in water. Foam boards embed various particular elements that suit them to use by beginners. They are more durable compared to other models because they are made of strong polyurethane material. These materials enable them to cope all the abuse that they are subjected to by a beginner. Many of them also have more volume compared to other types, thus providing them with better buoyancy for better paddling as well as a smoother and more stable ride. The other advantage is the cost factor as foam boards are more affordable compared to fiberglass. Best Foam Surfboards for Surfers Reviews. 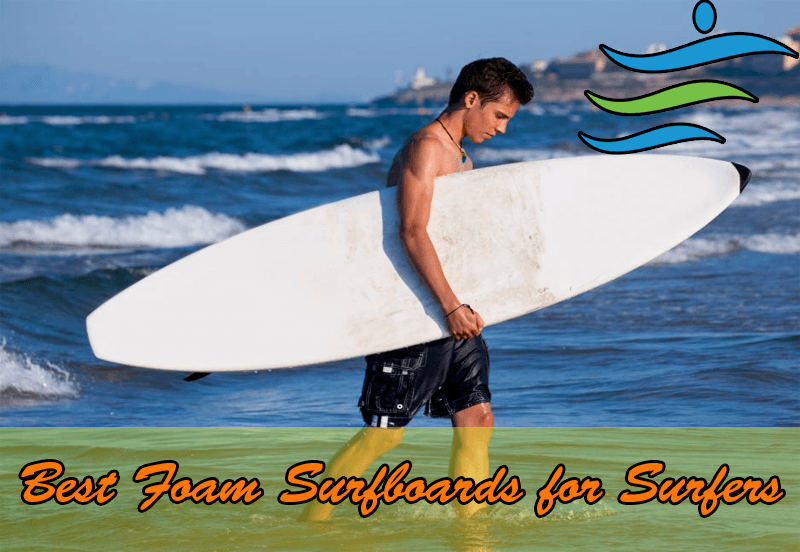 There are lots of foam surfboards for surfers could possibly choose from but we have done an expansive research to reduce the stress of choosing the best one available. We will be mentioning some of them in subsequent paragraphs. Wooden stringers for improving stiffnessHas anti-slip texture when wet. 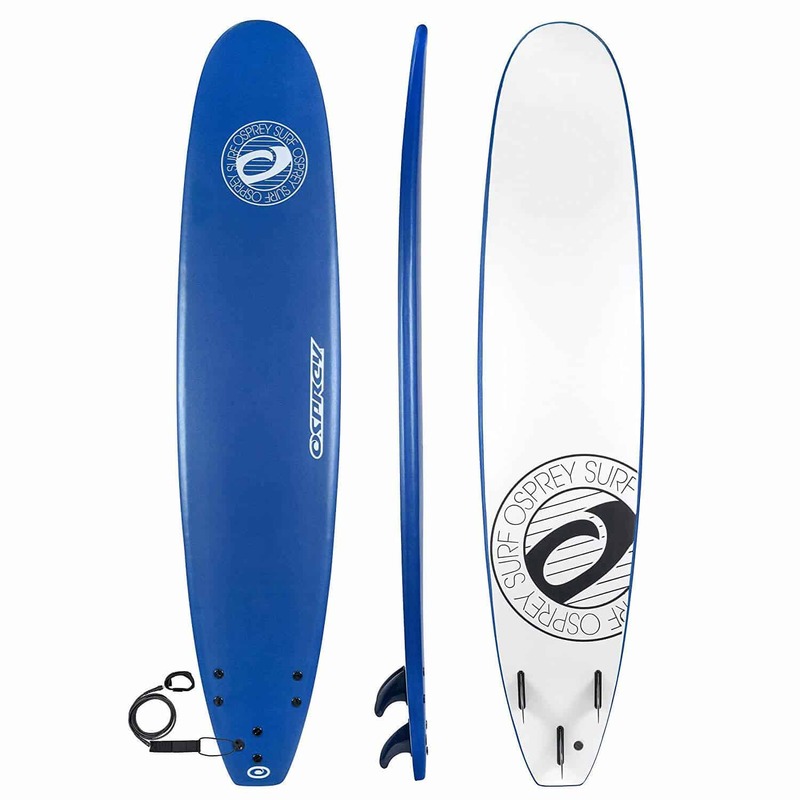 Perfectly bridges gap between intermediate and beginner surfing using a durable board. Manufactured to be strong but not quite heavy with an amalgamation of fibreglass and wood stingers. It has a traditional body shape with modern refinements that enable it to build on the old-school construction for offering a streamlined performance for both experts and novices. Comes with paint pains for decoration. 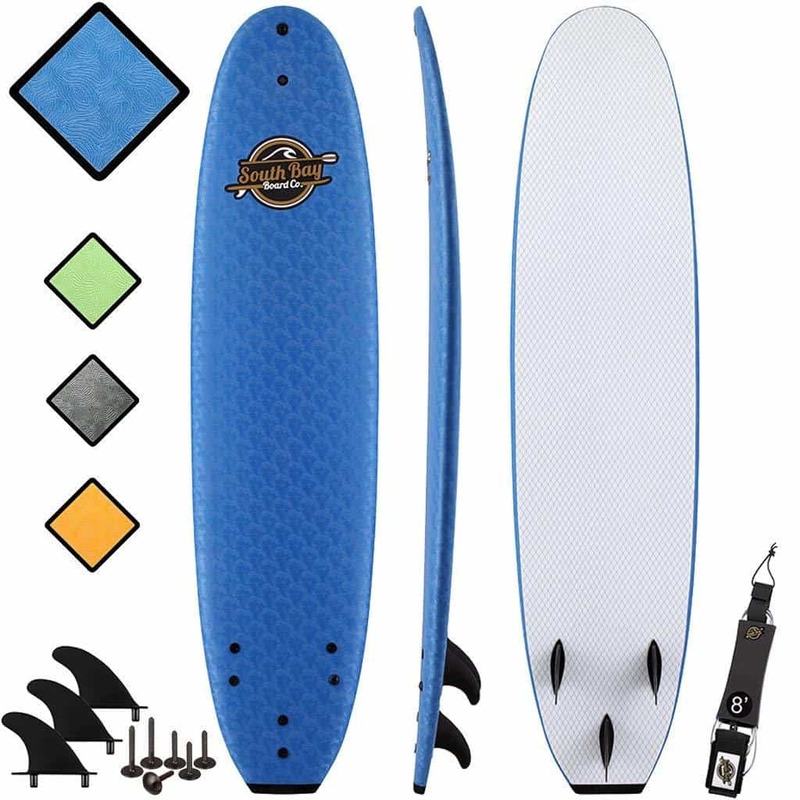 Has unique shape and more multiple features to improve durability compared to the other standard foam surfboards. Features that make it stand out are tri fin setup, high weight capacity, full packaged deal. Great buoyancy and volume delivered by board Tall and offers great stability. Has a Minim-Mal shape, thus not great for beginners, thus providing more control when one’s surf skills increase. Great for kids and beginners who want to learn and improve skills as they become more confident. Board has four stingers for durability and more strength, enabling the board to take extra punishment of learning and falls. Has durable form that provides it with durability and makes it lightweight. Free-leash system enables surfer to attach the waist or leg. Removable fins for easy transport. Traction pad great for keeping feet tethered to the surfboard. Liquid Shredder 70 FSE emerges as our best foam surfboard. There are various reasons why it is best for us with the first being that it perfectly acts as a bridge between the beginner surfers and the intermediate surfers with a durable board. It is best suited for the beginners and intermediate surfers because of its use of use, and especially adults. The second reason for this choice is that it is made from strong, but not quite heavy materials (combination of fibreglass and wood). Since the board is quite lightweight, it may not be used in windy conditions that could try to turn it sideways to the wind. Overall, this could be a good choice for those who want to use a board surfboard with a mixture of durability and ease of use.